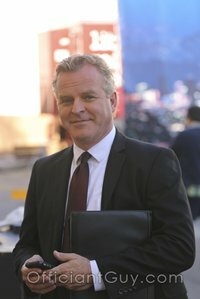 I have been a Los Angeles County wedding minister for many years, and I have officiated weddings of all kinds, including civil wedding ceremonies and religious wedding ceremonies, all over Los Angeles County and Orange County in many Lancaster Wedding Locations. Consider Antelope Valley Elegant Affairs, a wonderful Southern California wedding venue that you might consider for your wedding. Or if you are interested in a more casual wedding, give me a call and we can discuss the many options for your wedding location. A completely private wedding venue that accommodates up to 200 guests. Elegant Affairs has a state of the art lighting and sound system, a huge wood dance floor, a D. J., and a full bar. They even include a bartender at no extra cost. Elegant Affairs has a beautiful garden area for romantic outdoor weddings. They provide just about everything but the wedding officiant. That’s where I come in. Elegant Affairs is all-inclusive. 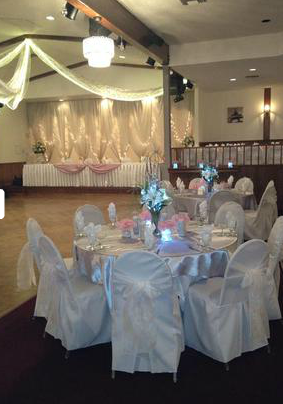 They provide linens, chair covers, and satin table overlays as part of their normal service. 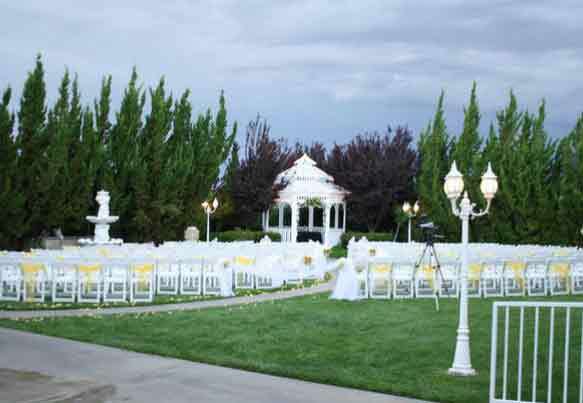 Importantly, Antelope Valley Elegant Affairs is a totally private wedding venue. Only your guests will be using the facility during your event! They have a full staff that will be there to help with all of your preparing, questions & concerns during this very special, yet sometimes overwhelming time of planning a wedding. 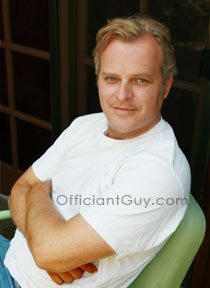 The wedding officiant suggests that you contact the Wedding Director, Karen Goodell, with any questions you may have. If you are considering having your wedding ceremony or reception at Antelope Valley Elegant Affairs or anywhere in Los Angeles County or Orange County California please also consider me, the Officiant Guy, as your wedding officiant.